Halloween is less than a week away! 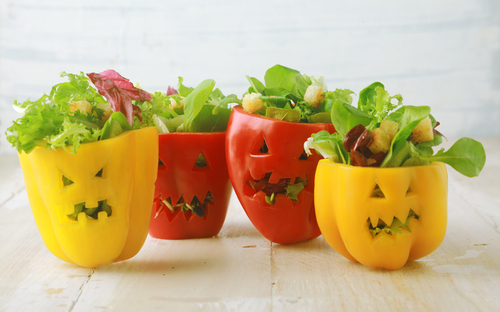 If you’re throwing a Halloween get-together or wondering what to feed the kids before they start trick-or-treating, you’re going to love today’s recipe, which we’ve covered before. Just in case you missed it, this easy to prepare quesadilla dinner is perfect for a Halloween dinner as it serves up to four people and it includes cheese, chicken, and those oh so important vegetables. Let’s take a look at the ingredients. Start by mixing the cheeses together in a small bowl. Take a skillet and heat two teaspoons of butter with a cover over medium heat. After the butter melts, put in the mushrooms and sauté for eight minutes or so. After the mushrooms have stopped liquid release once softening, ensure they’ve browned a tad. Add the garlic and stir everything for thirty seconds or so prior to adding the salt and pepper seasoned spinach. Sauté for an additional two minutes until the spinach has wilted, grab a plate, and set aside the mushrooms and veggies. Over medium heat, grab a skillet and add half a teaspoon of butter. Place the tortilla in the pan and cook it for about thirty seconds before you flip it. 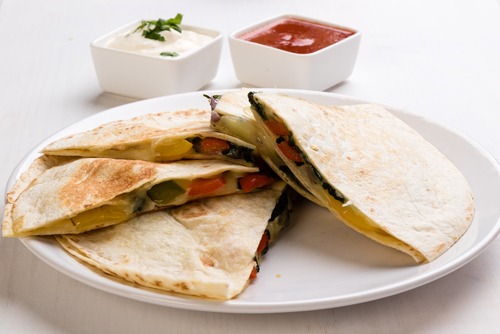 Using the cheese you combined, sprinkle a pair of tablespoons over half of the quesadilla. Sprinkle a few tablespoons of the sautéed veggie mix and chicken on top of the cheese. Top the mixture with an additional two tablespoons of shredded cheese. Follow by flipping the bare half of the tortilla over the filling and sauté for about two minutes, making sure the pan is covered. Using a spatula, flip over the tortilla until it’s become golden brown and the cheese has melted. After about a minute, remove the tortilla before splitting it into wedges. You’re ready to serve! Begin by combining the cheeses in a small bowl. Grab a skillet and heat a pair of teaspoons of butter with a cover over medium heat. Once the butter has melted, throw in the mushrooms and sauté for about eight minutes. Once the mushrooms have stopped releasing liquid upon softening, make sure they’ve browned a bit. Add the garlic and stir everything for about thirty seconds before following with the salt and pepper seasoned spinach. Sauté for an additional two minutes until the spinach has wilted and then set aside the mushrooms and veggies on a separate plate. Grab the skillet and add half a teaspoon of butter over medium heat. Place the tortilla in the pan and cook it for about thirty seconds before flipping it over. Grab the cheese you mixed and sprinkle two tablespoons over half of the quesadilla. Sprinkle a few tablespoons of the sautéed veggie mix and chicken on top of the cheese, you can also throw in about 1/4 cup of chopped pitted black olives if you like. Top that mixture with another two tablespoons of shredded cheese. Follow by flipping the bare half of the tortilla over the filling and sauté for about two minutes, making sure to cover the pan. Use a spatula to flip over the tortilla until it’s become golden brown and the cheese has melted. Wait for a minute or so after removing the tortilla before splitting it into wedges and serving. At Easy Foods, we take great pride in making top quality tortillas, tortilla chips, and wraps. We have many customers that have enjoyed the great taste of our products and we continue to expand our brands into retail and the restaurant industry. We’ve talked about our Vedgee brand a few times in the past, which is currently sold at multiple Winn-Dixie supermarkets across South Florida. 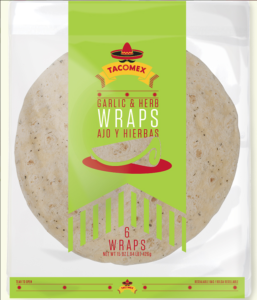 However, we also have another great brand called TacoMex, tortillas that are aimed at and served at various restaurants that are now available to enjoy at home! The TacoMex tortillas are made to be soft yet pliable, capable of holding many delicious ingredients without the risk of bursting. 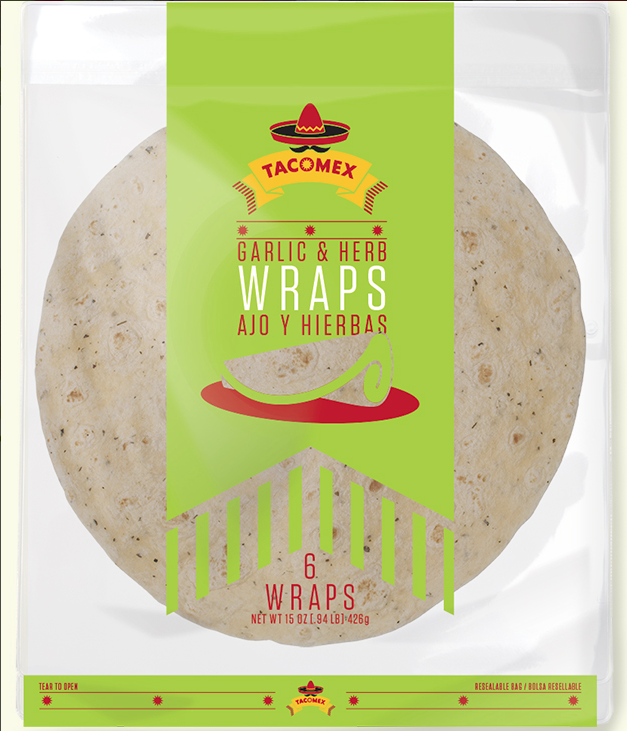 Our TacoMex products consist of wraps and tortillas available in several different flavors. 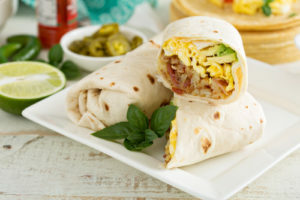 Spinach Wraps, Garlic & Herb Wraps, Jalapeño & Cheese Wraps, Corn Tortillas, you’re bound to find a great flavor for your next meal among our selection. Visit our website to check out the six different recipes we have available in case you need some help figuring out what to eat tonight. If you’d like to learn more about our TacoMex products or how to contact us, visit http://tacomex.com/.